At Tustin Plumbing, Heating & Air Conditioning, we understand the inner workings of wall furnaces and are fully prepared to fix any type of problem that may arise. Our wall furnace installation, repair and maintenance technicians are fully qualified to work on both newer and older systems. 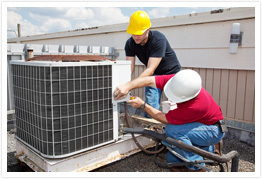 Do not let a furnace problem cause discomfort for you, your family or your business. Call the Orange County wall furnace repair specialists and let us evaluate any wall furnace problem. Besides troubleshooting and repairing problems, Tustin Plumbing, Heating & Air Conditioning can also help you set up a regular maintenance program to ensure your wall furnace stays trouble-free. We serve communities throughout Orange County. Emergency service is available 24 hours a day, 7 days a week.